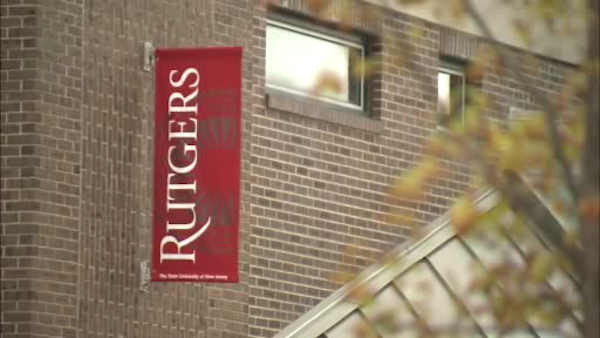 NEW BRUNSWICK, New Jersey -- A brawl that broke out when several men were denied entry to a fraternity and sorority party held near the Rutgers University campus ended with one man being shot. New Brunswick police say the fight started around 1:30 a.m. Saturday when a group of roughly 10 men tried to enter the venue on Hamilton Street. The fight soon spilled out onto the sidewalk and one man from the group pulled out a handgun and fired into the crowd before they fled on foot. A 21-year-old New Brunswick man who was attending the party was shot in the shoulder. He was treated at a hospital and his injuries were not considered life-threatening. The man's name has not been released. But Rutgers police say he wasn't affiliated with the university.